Sending love and prayers. 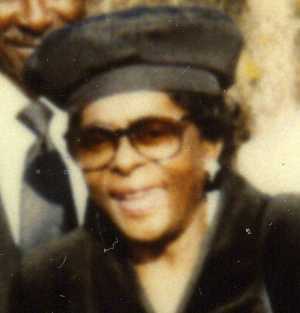 Aunt Rosetta was a true aunt, and friend. She had a big heart and loved her family. I will never forget her smile, her voice, and the good advice she gave me. Thank you for being my “Rose”. See you in the morning…..
To the posey Family in there great lost I just want say that Jones Family is praying u and we love u also god loves u and also keep this word in mind that Jesus go to prepare a place for Rosetta Terrell in Heaven where she will be because we also have to take that long to glory to be with our king who love us the most so be in courage keep your head up. Dear, Aunt Rosetta I didnt really know you like that but my grandma told me you was a nice sweet young lady and I came up there to see u at the nursery home and I found your teeth under the bed. But, we had good tie I guess it was your time and god was calling you home you will always be in my memory .